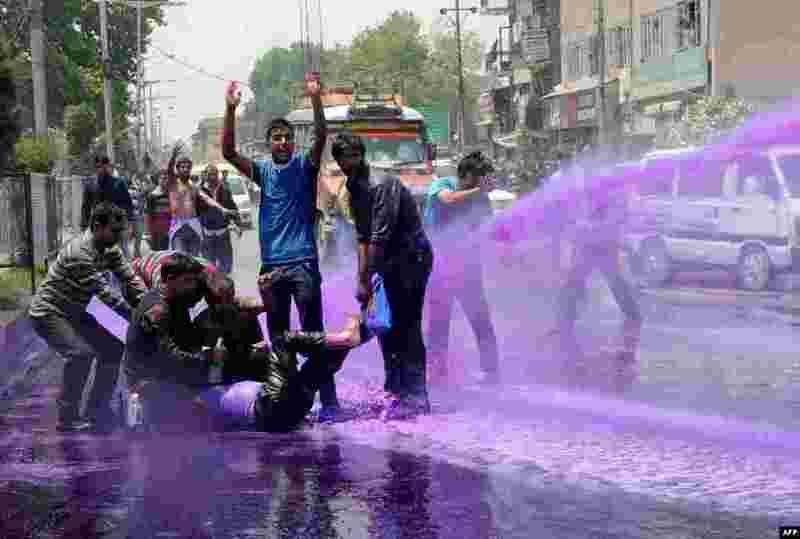 1 Kashmiri government employees demonstrate as riot police spray purple-dyed water during a protest march in Srinagar. Indian police detained dozens of government employees as they tried to stage a protest march demanding the regularisation of contractual jobs and an increase in salary. 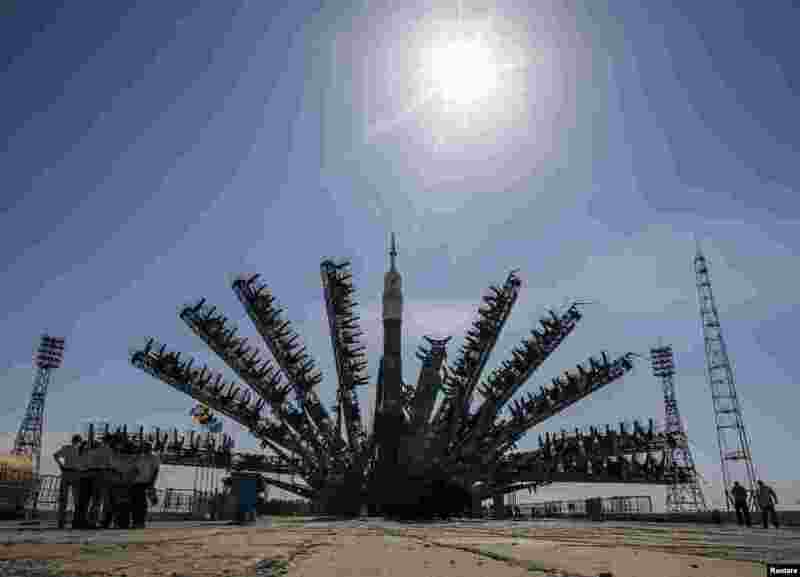 2 Guests and members of the media watch as the Soyuz TMA-13M spacecraft is rolled out to the launch pad by train at the Baikonur Cosmodrome in Kazakhstan. Launch of the Soyuz rocket is scheduled for May 29 and will send Expedition 40 Soyuz Commander Maxim Suraev of the Russian Federal Space Agency, Roscosmos, Flight Engineer Alexander Gerst of the European Space Agency, ESA, and Flight Engineer Reid Wiseman of NASA on a five and a half month mission aboard the International Space Station. 3 Service towers move towards the Soyuz TMA-13M spacecraft set on its launch pad at Baikonur cosmodrome in Kazakhstan. 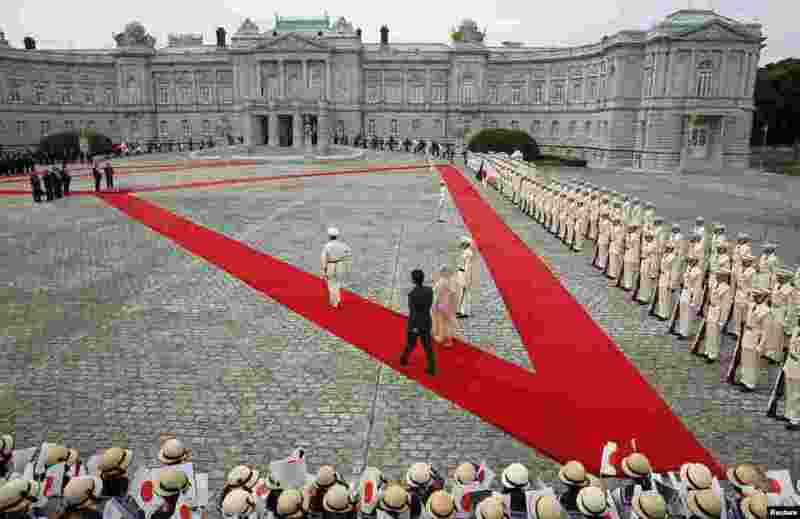 4 Bangladesh's Prime Minister Sheikh Hasina (center, R) and Japan's Prime Minister Shinzo Abe (centre, L) walk as they attend a welcoming ceremony at the state guest house in Tokyo.